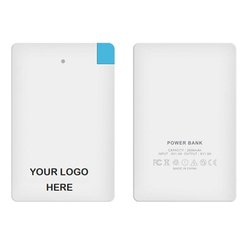 Manufacturer of a wide range of products which include battery display power bank, card shape power bank, digital light power bank, 3 port power bank, white colour power bank and desk power bank with dual usb port. Intelligent power output of each individual port. 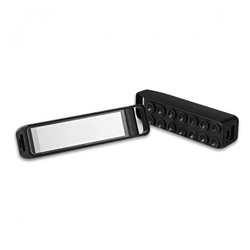 Powerbank is compatible with i-Phone, i-Pads, Android smartphones, music players etc. Output must be active by recharging or pressing the switch. Power Glow design that light up when in use. 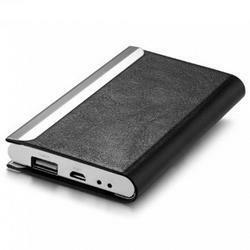 With this 3,000 mAh powered portable mini power bank keep your mobile and tablets charged all the time, anywhere. It has unique Power Glow design that lights up and looks quite beautiful when it is in use. It has cradle complements that fit any desktop perfectly. 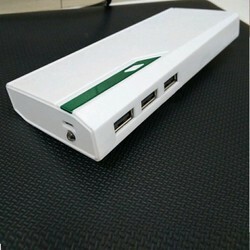 Power bank can be used and charged individually even without using the base. It has Dual USB Output for connecting multiple devices at same time. It gives Optimum Output power that is 5V/1 A which is suitable for all phones. It has Original Samsung SDI cell inside. 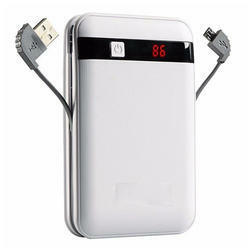 It is compatible with most devices like Mobile phones, Media players, Tablets, Digital Cameras &other electronic devices. It is very safety-oriented that includes intelligent protection against overcharging, over-discharging or overload. You can also charge with your original smartphones cables that includes iPhones, Windows, & Android. It is available in black color. 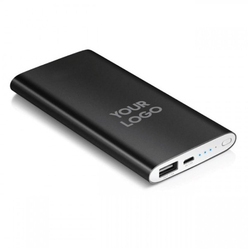 The prices are inclusive of your logo printed on the device and and this device has glowing logo area. 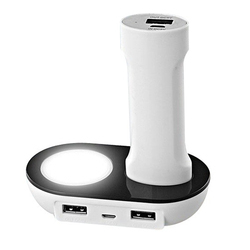 Splash power bank allows charging of 3 devices at once. Can be used as a torch. Can be used as a table lamp. Can be operated with single switch for torch & USB charging. 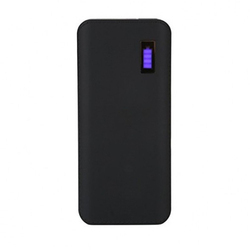 With this 3,000 mAh powered portable glowing power bank keep your mobile and tablets charged all the time, anywhere. It comes with Micro-USB cable. Device has glowing logo area. Can be used to charge tablet & smartphones with USB cable, very slim design with lithium polymer battery and 4 LED indicators which displays the battery level status. 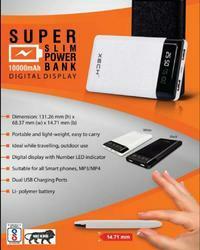 We are leading supplier of Power Bank.